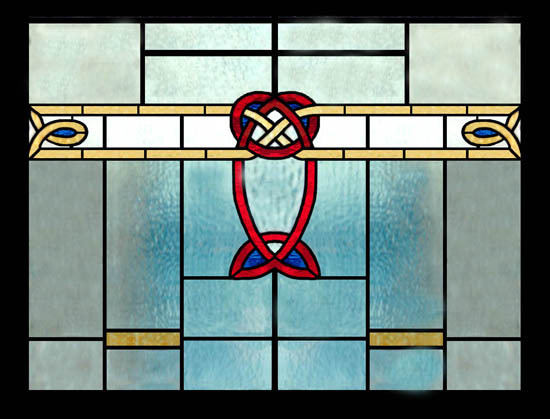 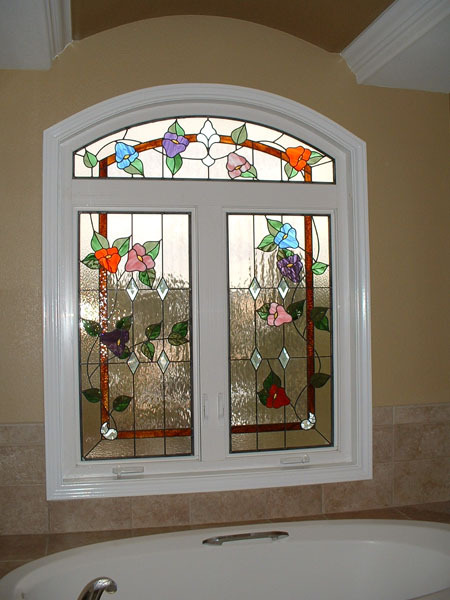 Scottish Stained Glass is the leading provider of this product not only in Lubbock, but all throughout Texas, and we strive to provide the best stained glass available. 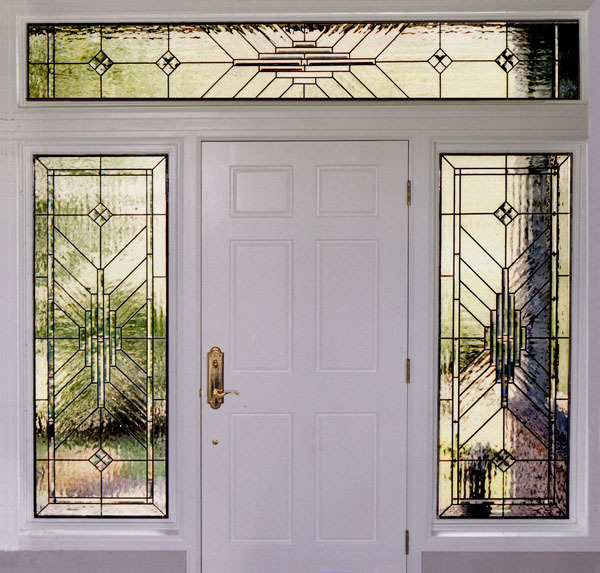 This city is full of traditional style homes, which lend themselves beautifully to stained glass additions. 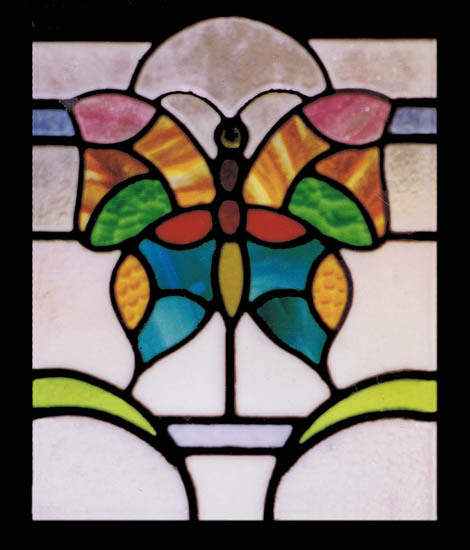 Feel free to browse through our many galleries to get a better idea of how we could incorporate beautiful glasswork into your home. 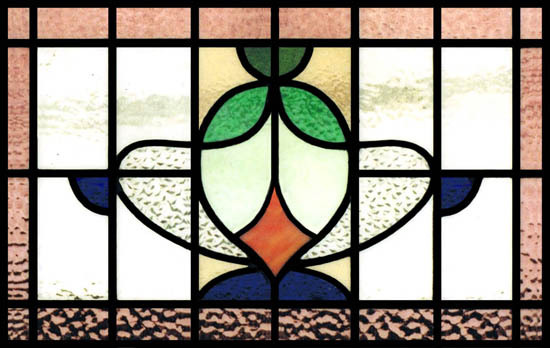 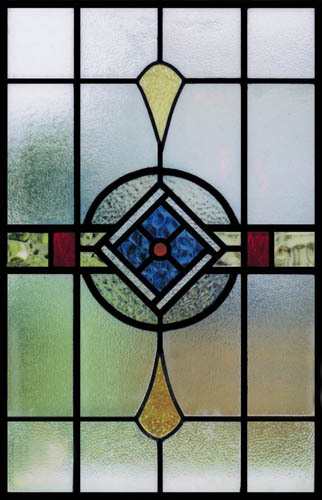 The options for stained glass in a home are endless. 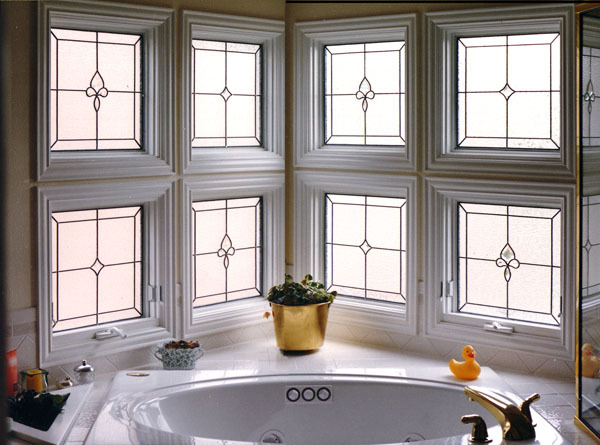 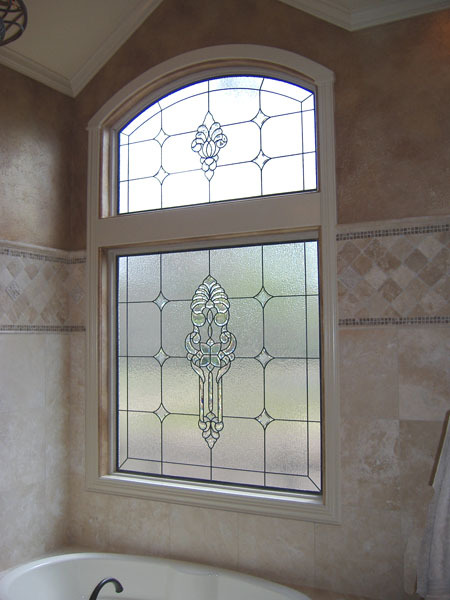 All of our pieces are custom, so we can accommodate any size or shape of windows throughout your home. 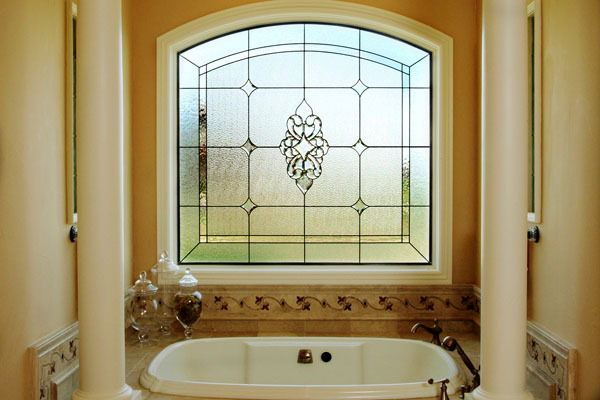 This also means that our designers will work with you through the many options to create something that not only matches the décor of your home, but also matches your personal wants. 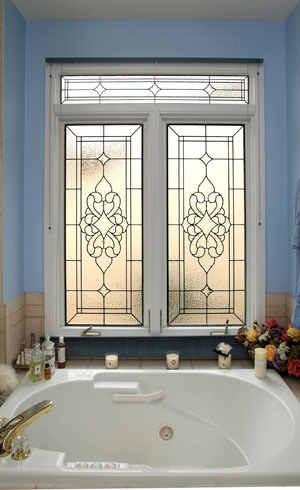 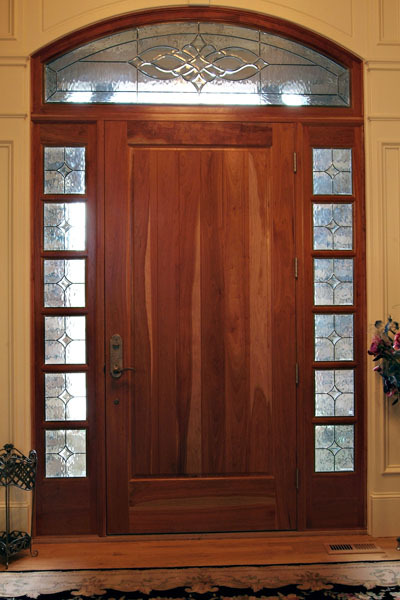 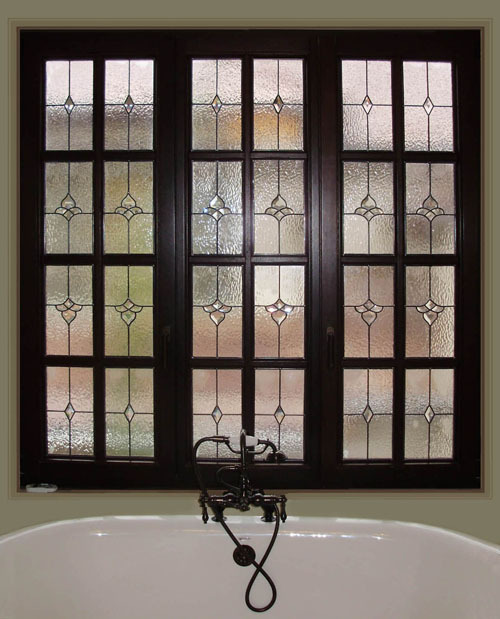 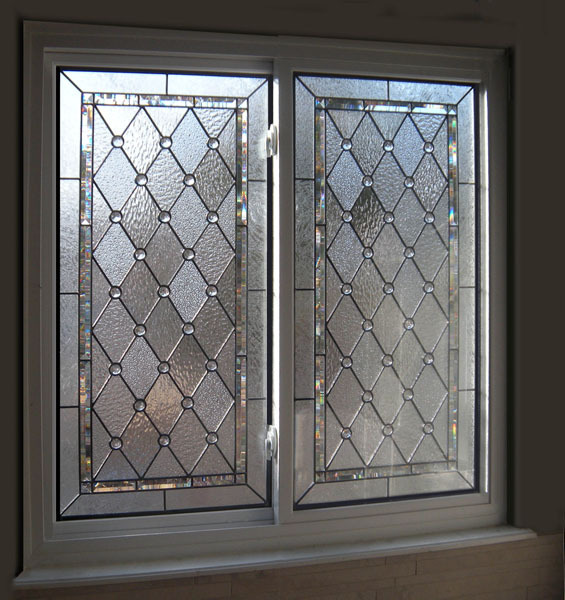 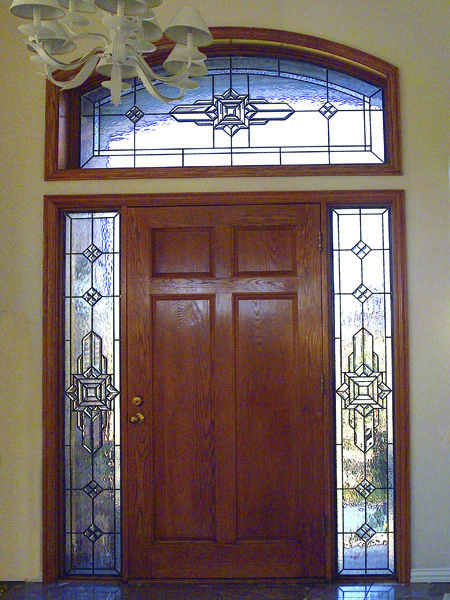 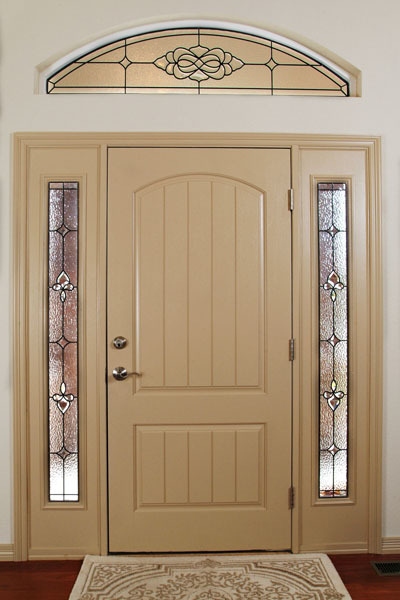 We can add stained glass to any window, but one of the most popular locations is in entryways. 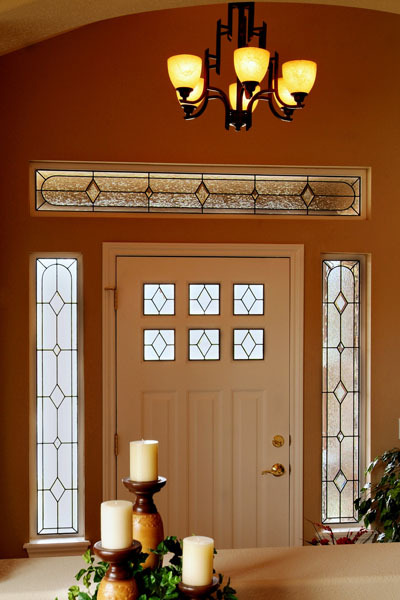 This is the first area of your home that any visitor sees, and you want to make a good impression. 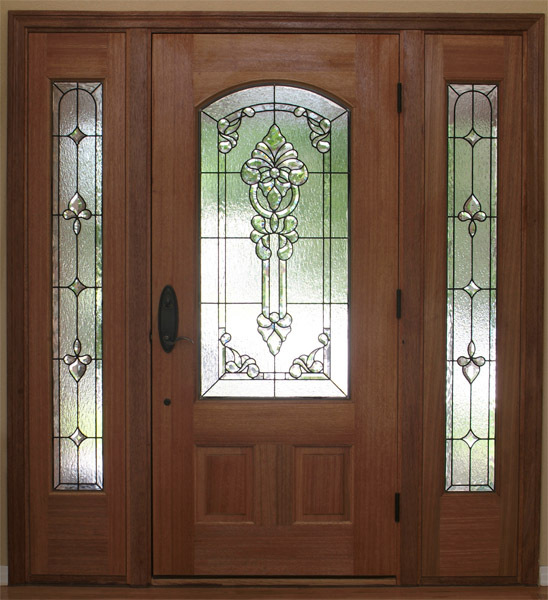 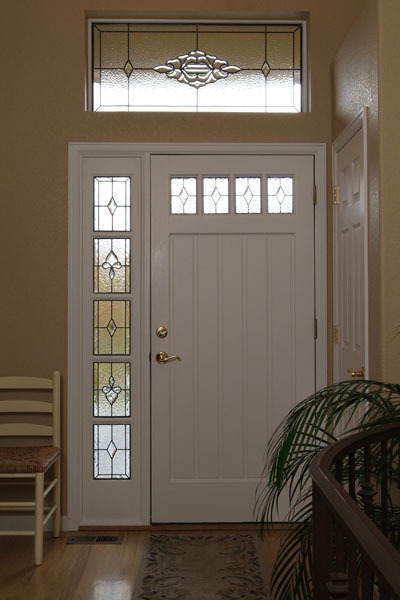 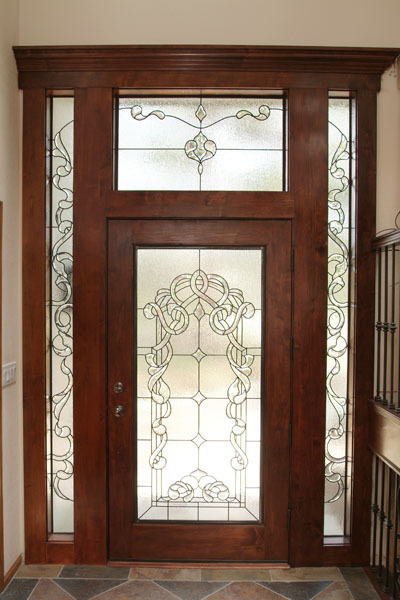 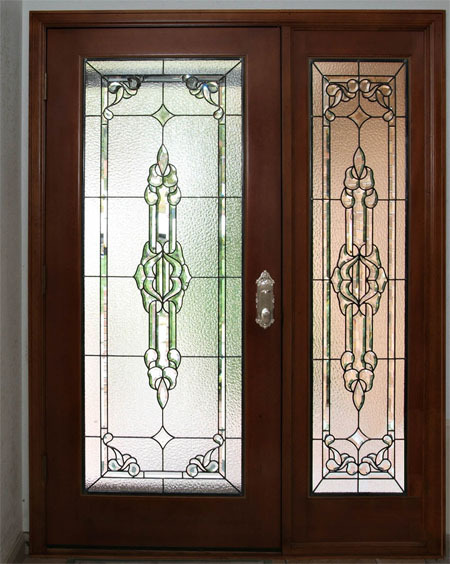 We can help you create a beautiful work of art by using etched, leaded glass in your sidelights and front door, adding an elegant, inviting look to your entryway. 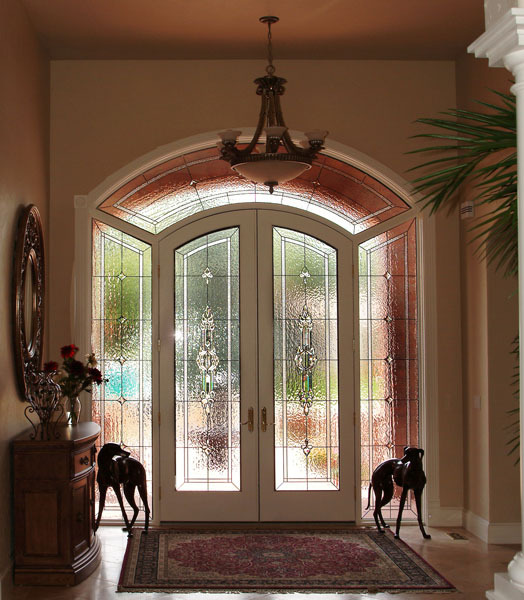 Our designers will take the architecture of your home in to account, and thereby design something that looks cohesive, yet becomes a lovely focal point. 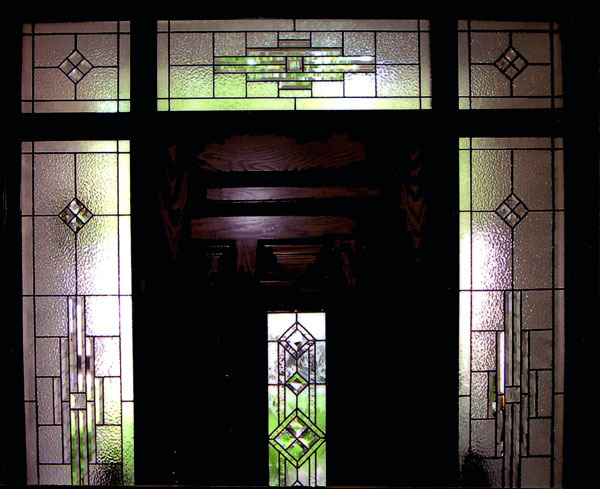 Other popular locations for stained glass include kitchens, transoms, bathrooms, hallways, stairwells, and basements. 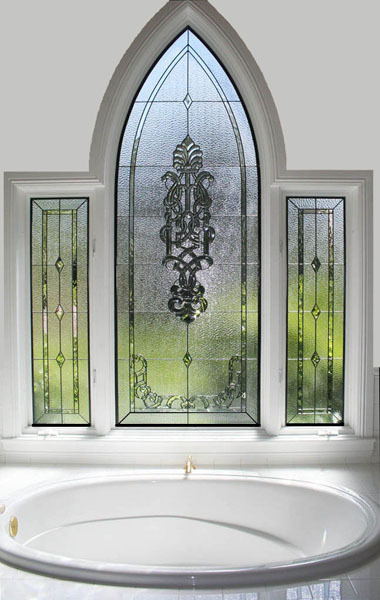 No matter where you want your addition, our designers will work with your wants and the needs of your home, and they can help you to make key decisions during this process. 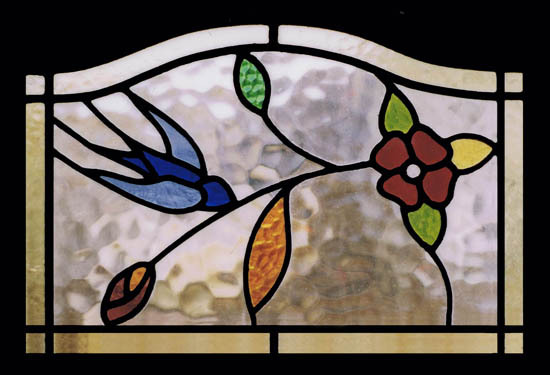 Basements are not the most common place for our products, but if you spend time in your basement, consider adding stained glass to create a better view, and add an interesting flair to this room. 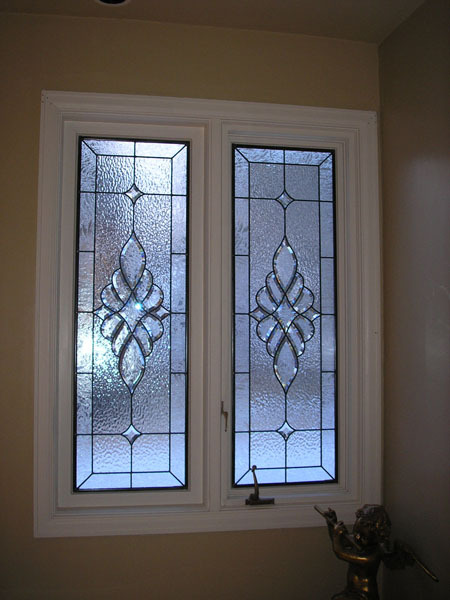 Most basements with windows offer only a view of a cement well, and if you’re basement is styled in any way, this might be hindering the look of the room. 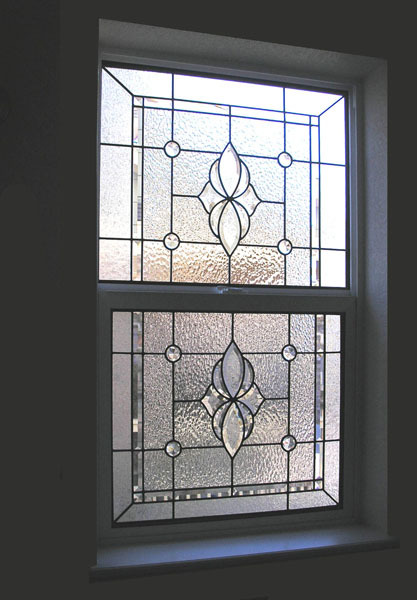 Our windows can take this dreary view and replace with a beautiful work of glass art, and with our many options, we can always create something to compliment your décor. 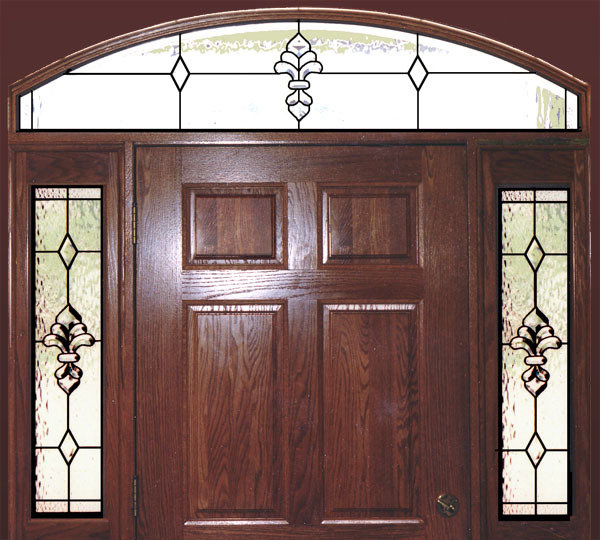 We offer a wide variety of style choices, so feel free to take a look at our designs page to learn more about your options. 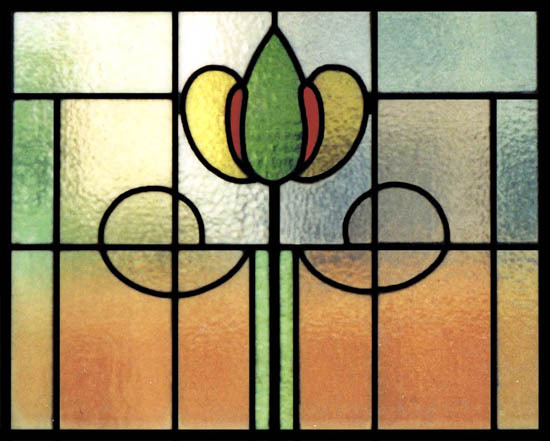 Some of our most popular modern flairs include Prairie Style, Art Deco, and Mission, while some of our traditional styles include Art Nouveau, Floral, and Celtic. 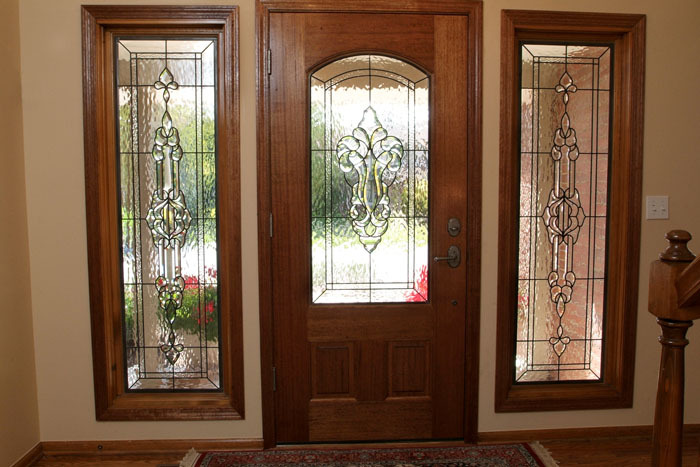 We can begin your piece based on one of these styles, or we can create something completely new for your home. 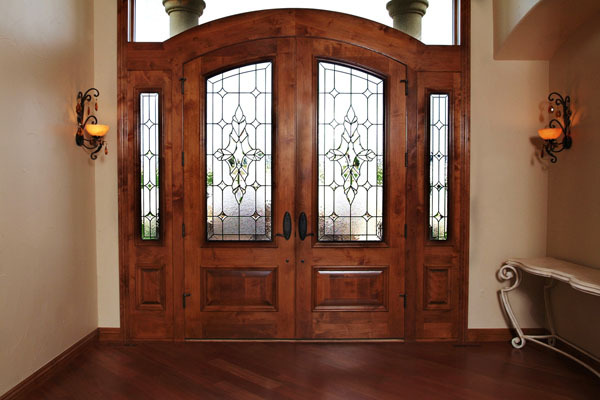 Our expert team holds an A+ rating with the Better Business Bureau, along with a gold star for great customer service, so you can feel comfortable working with an experienced, dedicated company. 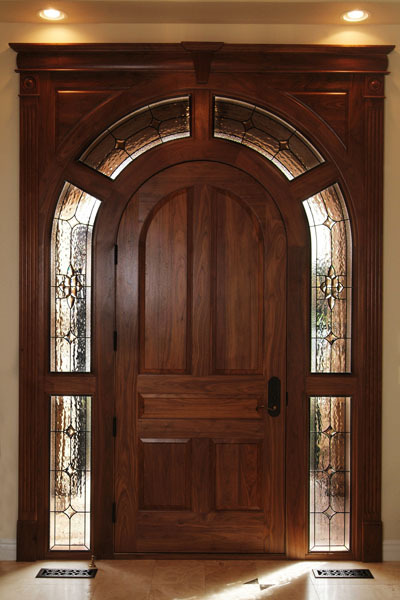 Feel free to give us a call or send an email to ask questions, get an estimate, or set up a consultation.